She becomes an actress posing as the wife of Rupert Wynford, a perfect stranger. And as Napoleon prepares to invade the English coast, she takes her place among society’s elite, where she has to match wits with the most dangerous men of her time. Has her mysterious employer, Rupert Wynford, really just come to Weymouth like King George III for the benefit of sea air? Or is he one of those in league with the European conqueror who plans to invade England at dark of the moon? 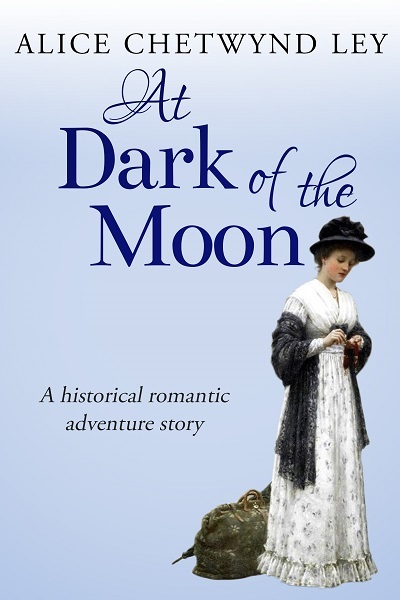 At Dark of the Moon is a classic Regency Romance by Alice Chetwynd Ley: a traditional British, historical adventure story with a twist of suspense and mystery, set during the Napoleonic Wars.